Need it by April 24th? Order in the next 62 hours and upgrade to 2 Day Shipping at checkout. 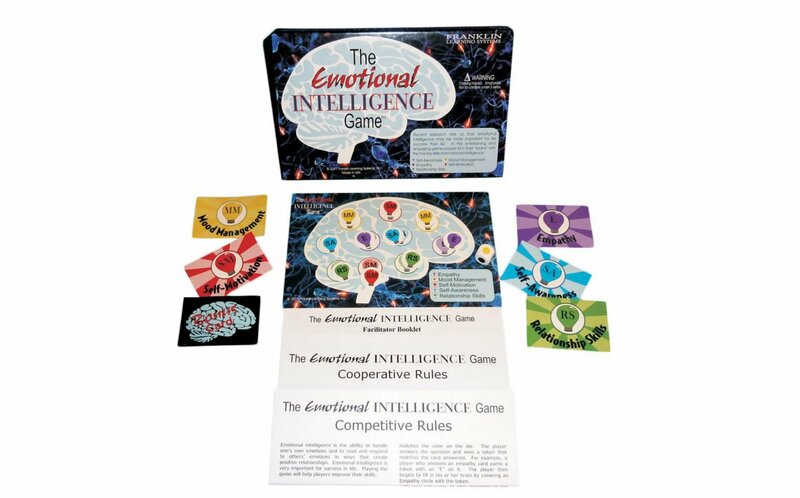 This game is an entertaining and engaging game that reflects the five areas of emotional intelligence: Self-awareness, Mood management, Self-motivation, Empathy, and Relationship skills. There are two versions of the game and corresponding sets of rules; Competitive (where players play against each other) and Cooperative (where players work together). Players try to fill in their brain card by answering questions and winning tokens. Also included are six decks of cards relating to the five areas of emotional intelligence plus a deck of Bonus Cards. 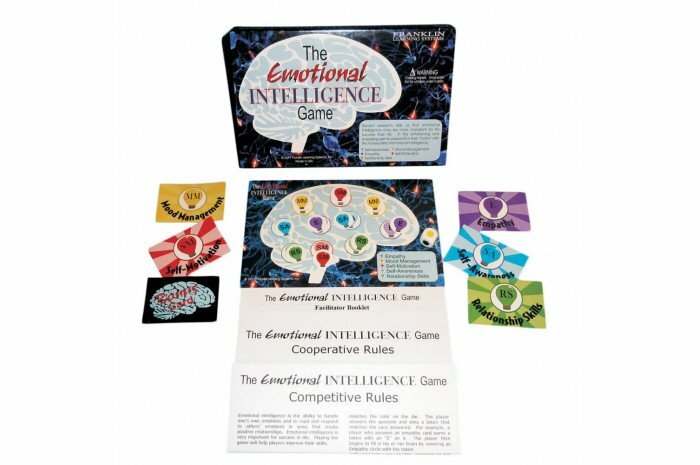 The Emotional Intelligence game utilizes both cognitive behavior therapy and social learning theory to help players build their emotional intelligence.